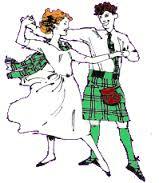 The Wednesday night Programme Class will review dances for upcoming socials and will offer a few special nights. To share the fun and introduce our teachers to everyone, different teachers ares scheduled for the classes. These classes are open to all dancers who are familiar with the steps and basic formations of Scottish Country Dancing. White Rock’s 65th Anniversary dance!